Nunavummi Disabilties Makinnasuaqtiit Society – We all do better, together! 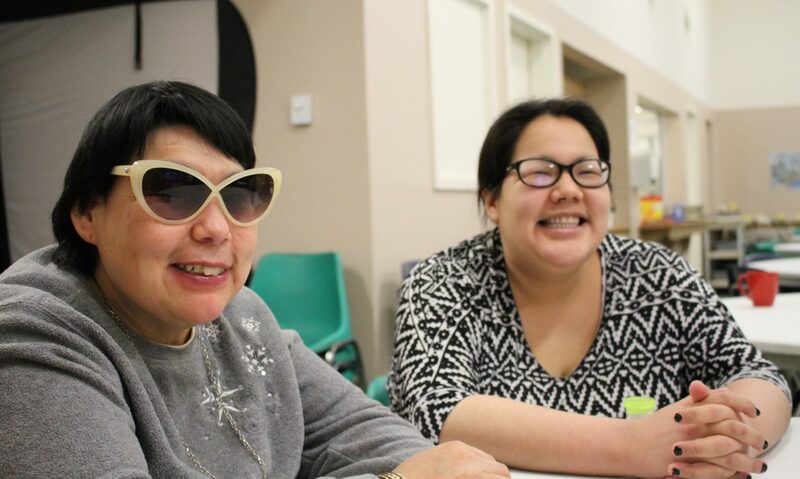 Our vision is for all people with disabilities living in Nunavut to achieve independence, self-determination and full citizenship in their communities. We promote awareness, opportunity, choice and participation in all aspects of life in Nunavut! Whether you are a lifetime advocate or new to our cause, we invite you to join us. We welcome new ideas and value enthusiasm from members and volunteers, new and old. Contact us! Our mission is to achieve independence, self-determination and full citizenship for all Nunavummiut living with disability. To promote employment opportunities for persons with disabilities. We do this by promoting awareness, opportunity, choice and participation in all aspects of life in the Nunavut. Individuality: Persons with disabilities have the right to be treated with respect and dignity. Programs and supports should be designed to respect the dreams and goals of the individual. Self- Determination: Persons with disabilities have the right to be treated equally, to make choices and to maintain personal control over all aspects of their lives. Community Inclusion: Persons with disabilities have the right to the supports necessary to take part in their choice of community activities and to participate in society without physical and social barriers.